This Sunday 28 June will see the second CYC BOD race of the season in the shape of the Carstairs Cup which starts from the Bateman’s Tower line at 14.15. 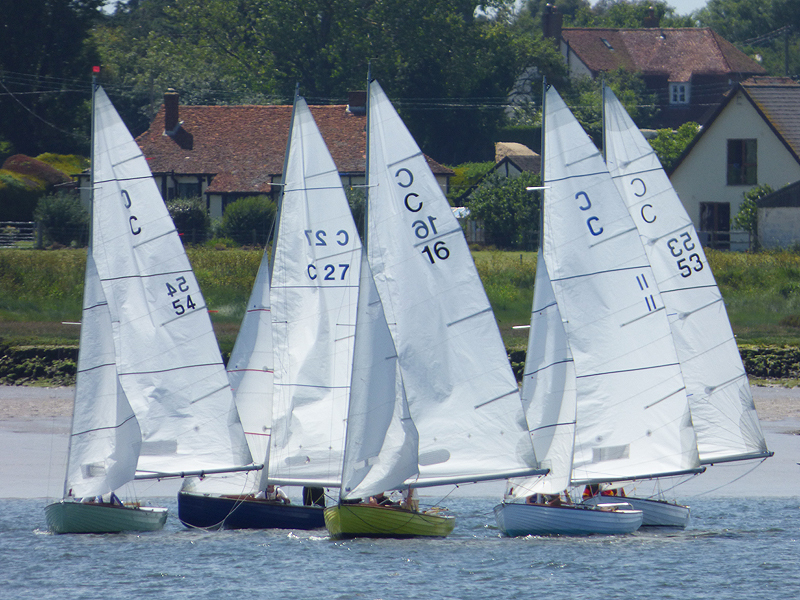 Currently the forecast is indicating a dry but overcast day with a moderate to strong south westerly breeze and a high temperature of around 20 Deg C.
The following weekend – 4 and 5 July – is Brightlingsea Regatta and we hope to see as many BODs out as possible over the two days. The official BOD Race will be the CYC Hickley Tiller race on Sunday 5 July at 14.00 (note this is 15 minutes earlier than our usual CYC start time) from the Bateman’s line, but for those who would like to race both days there will also be a BSC Summer Points race on Saturday 4 July starting at 14.00 from the BSC line. In addition to the Regatta racing there will be lots of fun and games ashore with lots of trade and retail stands, watersports, gig racing, the boat show, great food and live music for all to enjoy. Find out more at www.brightlingseaboatshow.com, www.sailbrightlingsea.com and www.colneyachtclub.org.uk.